The Allonesearch Towing Companies category, also known as towing services, includes companies offering wrecker services, 24 hour towing, local towing, car towing, and motorcycle towing. 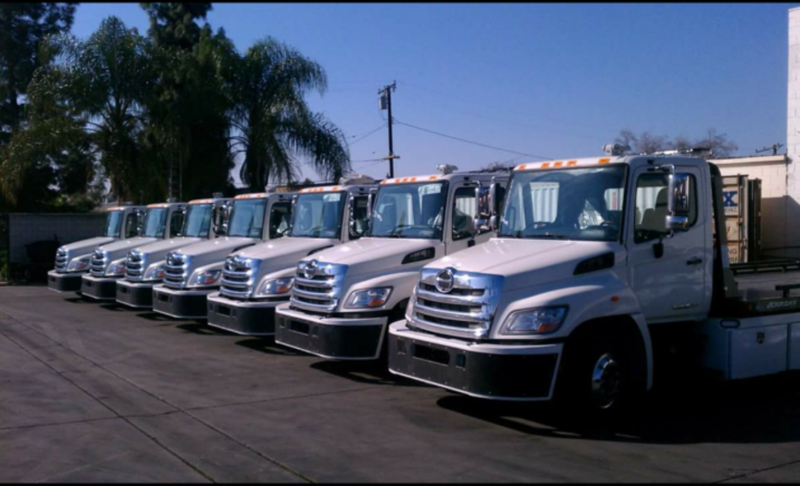 There are 7 companies listed in our Towing Companies category for Whittier. This page shows listings 1 to 7. If you'd like to check the Towing Companies category for other cities in California click a link on the left. Our Tow Operators are highly skilled and have years of experience. Most of all: they love cars and care about yours. Whether it’s our quick, quality, friendly service or the honesty and value we bring to every interaction, our customers love us. Get to know our experienced Operators. They’ve got TRUCKS, skills, and a desire to help. Come see why no Towing Company is as quick, qualified, or convenient as we are. Nobody likes getting their car towed, it's not fun or convenient. So, we want to make the process as easy and enjoyable as possible for you. We genuinely care about your car and your experience, and it shows. Our first-time customers continually become our long term customers time and time again, choosing us for all their Towing and Roadside Assistance needs. We’re committed to providing professional Towing service and to serving you with quality and value. We have certified operators ready to serve you 24 hours a day. Hopefully you will never need us, If you do well... We may not be related, but you’ll feel like we’re family. Dedicated to professionalism and to serving you with quality & value. Our Tow Operators are highly skilled and have years of experience. Most of all: they love cars and care about yours. Whether it’s our quick, quality, friendly service or the honesty and value we bring to every interaction, our customers love us. Get to know our experienced Operators. They’ve got TRUCKS, skills, and a desire to help. Come see why no Towing Company is as quick, qualified, or convenient as we are. For the many years we’ve been in business, we have been striving to provide our customers the best quality service possible to gain their full satisfaction. And they’ve shown their appreciation by coming back to us repeatedly. We want to be the Towing Company that comes to your aid for all your automotive roadside assistance needs. 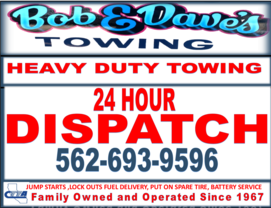 24 HOUR LIGHT, MEDIUM, AND HEAVY DUTY TOWING SERVICE. 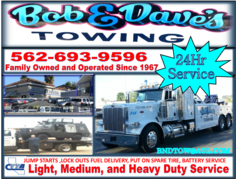 BNDTOW offers Light, Medium, and Heavy Duty Towing. We our capable of handling any vehicle of any size at any time. We have flatbeds and low boys for all your transport needs.